After months of consultation with players and key partners in the sport, the World Team Ranking Order of Merit system changes have been announced for the 2018/19 curling season. The changes were made to balance some inequality in the system, to increase the importance of major championship events and to better value larger events offering a strong ranking system that includes more teams in the process. There were several concerns voiced from how early season points were too valuable to the overall system along with the previous season holding too much value relative to the current season. We also saw issues with larger events not reflecting a strong performance that did not reach the playoffs and the challenge of only 8 qualifiers in any event size larger than 16 teams. The first four changes were announced in June which featured changes to the splitting of end-of-season points, the slow rollout of event slots to balance the value of events throughout the year and decreasing value of the previous season's points as the year goes on along with decreasing the minimum teams required to run a Tour event to 8 teams. 1. The Elite 10 Grand Slam will now count for points using the same formula as the non-Major Grand Slams (no importance factor bonus). This event is recognized as an elite field that is playing the game in a format that is not far removed from the standard game and the decision has been made to allow events like this, like Skins and similar formats to apply for approval to be part of the points system. These events will still need to adhere to the rest of the rules regarding the number of teams, purse and other guidelines. 2. World Cup of Curling: As a new series of events we have reviewed the predicted fields and the value of what the points should be here and the formula we have agreed to is using a similar formula as the Special Event formula with a 15% importance factor added which will see the World Cup events with an expected 9-9.5 Strength of Field (SFM). With the limited fields, this is what we believe the be the best approach for the time being and will be reviewed after the first season. 3. Event Importance Factor Changes: The World Championships and Players' Championship are the premier events of the calendar season for their respective streams and we are adjusting the importance factors to better reflect that. The World Championships will increase from 90% importance factor to 100% while the Players' Championship will increase from 10% to 20% increasing the value of both events. 4. Increase Base Value for Winning: The base value calculation for winning a tournament will increase from 7 times the SFM to 7.5 times the SFM to put more importance on winning events. This will spread down through all levels of the game helping improve the upward mobility for teams who go out and win. 5. Points Per Win Changes: There have been a couple of concerns expressed about the gap in points between qualifying and going deep in events with larger fields like 24 and 32 team tour events. 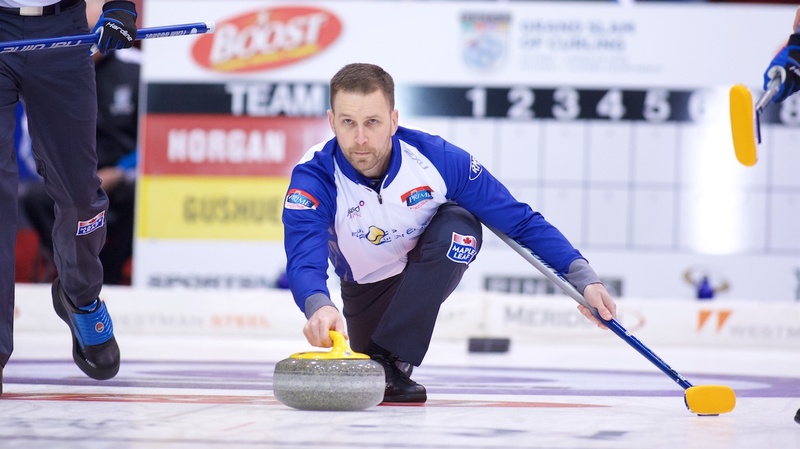 Several of the bigger events have expressed concerns recently that teams are staying home and playing smaller 16 team events because it's easier to qualify and gain valuable qualifying points which many teams use for their provincial and national playdowns. With the changes to the slow rollout of event slots, the concerns about teams using these points per win to maintain their ranking at the top have been alleviated as the quality of results will matter more than ever now giving us the opportunity to strengthen the points offering to the rest of the teams in larger events. Teams who lose C-Qualifiers who win the maximum number of games (4) in a 32-team TKO will receive 1.5 times the SFM (or 50% of the Quarterfinalists) based on the number of wins they receive. This calculation means that teams will now receive 0.375 times the SFM per win. This will also balance out the difference between 32 team events (C Qualifier losers win 3 or 4 games), 24 team events (C Qualifier losers win 2 or 3 games) and 16 team events (C Qualifier losers win 2 games) and do a better job of ranking the rest of the teams in the world. 6. Too Many Qualifiers Fix: In some events, we end up with too many qualifiers for the number of teams in the field. Events are typically allowed to give out qualifying points for 50% of the field when we fall below 16 teams in an event. This has been solved in the past in events by taking the number of Quarterfinal teams allowed and adding the number of QF base value points and dividing by the number of actual qualifiers. For example, in a 10 team field with 6 qualifiers (5 allowed) we end up with 2 QF finishers versus the 1 allowed. The base value points (3) will be divided meaning that each team will receive 1.5 times the SFM for losing that game. The Players' Championship which qualifies 8 of 12 teams has been a challenge in the past in how we approach this split since the decreased points do minimize the opportunity for teams to count those points. Instead, we will be using the PPW values for teams who lose QF games, so that it better rewards teams who win 4 or 5 games while not offering the same kind of advantages to teams who qualify with 2 or 3 wins. This event is handled differently as the importance of qualifying 8 is noted as significant bonus money is on the line and the event organizers want teams to play for the points available in the bonus cup rather than receiving byes that could be based on shootout numbers. We took all player and event feedback over the last 4 seasons and worked to tweak the system to improve these parts of the existing system which we believe is very close to where we want to be. The World Team Ranking Order of Merit points system is critical to our sport as we continue to see growth Internationally and the opportunities that teams are afforded based on the success on the ice needs to match the realities of our great game.